Sonya brings exuberant energy and over 10 years of human resource advisory experience to the KBRS consulting team. 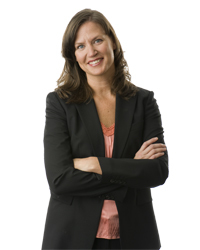 Sonya's expertise includes leadership coaching, personnel selection systems, workplace morale assessment, and behaviourally based interview techniques. In addition, she has conducted numerous job and competency analyses for various organizations in the US and Canada. Sonya has a Bachelor of Science degree with an honours in Psychology and a Master of Science in Industrial Organizational Psychology from Saint Mary's University. Sonya has taught courses at Saint Mary's and thrives on sharing her knowledge of psychology with the next generation. An avid researcher, Sonya has been published in the Journal of Dental Education and has written leadership papers for the Department of National Defence. Sonya is committed to supporting her community and devotes time to helping women who struggle with work-family conflicts. Sonya lives in Bedford with her husband and their three beautiful girls, whom she says are her greatest and most-prized accomplishment.